At the turn of the 4th century, only one nation in the world had accepted Christianity as its official religion, and it was not a country anyone would expect. Led by Gregory the Illuminator who baptized the Armenian royal family in 301, the nation plunged into religion, collecting artifacts and building spectacular monasteries along the way. 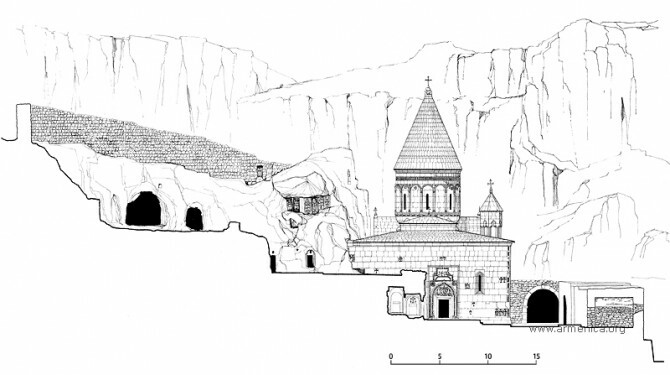 Geghard is a derivative of an Armenian word meaning Monastery of the Spear. The complex was named after the spear used to wound Jesus during the Crucifixion. Allegedly, the spear was brought to Armenia after the Crucifixion and is now housed in the Echmiadzin Treasury, in the spiritual center of Armenia.